UrbClim, the urban climate model, is used for short- and long-term projections of climate for Delhi. The projections are performed for RCP8.5 using an ensemble of 11 GCM model outputs. 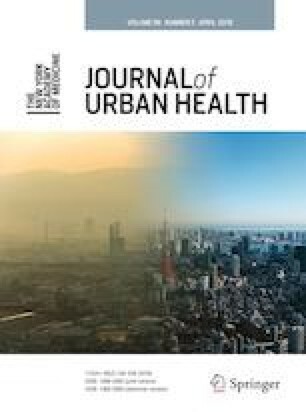 Various heat stress indices were employed to understand the role of urban heat island (UHI) in influencing the present and future urban climate of the city. UHI intensity based on 5% warmest nights (TNp95) was 4.1 °C and exhibits negligible change over time. However, the impact of UHI on other heat stress indices is very strong. Combined hot days and tropical nights (CHT) that influenced 58–70% of the reference time frame are expected to rise to 68–77% in near-future and to 91–97% in far-future time periods. For reference time period, urban areas experience 2.3 more number of heat wave days (NHWD) than rural areas per summer season. This difference increases to 7.1 in short-term and 13.8 in long-term projections. Similar to this trend, frequency of heat waves (FHW) for urban areas is also expected to increase from 0.8 each summer season in reference time frame to 2.1 and 5.1 in short- and long-term projections. The urban-rural difference for duration of heat waves (DHW) appears to increase from 1.7 days in past to 2.3 and 2.2 days in future, illustrating that DHW for cities will be higher than non-urban areas at least by 2 days. The intensity of heat wave (IHW) for urban land uses increases from 40 °C in reference time frame to 45 °C in short-term projection to 49 °C in far future. These values for non-urban land use were 33 °C during the baseline time period and are expected to increase to 42 °C and 46 °C in near- and far-future time frames. The results clearly indicate the contribution of UHI effects in intensifying the impacts of extreme heat and heat stress in the city. The work described in this paper has received funding from the European Community’s 7th Framework Programme under Grant Agreements Nos. 308497 (RAMSES) and 308299 (NACLIM), and from the BELSPO through its Brain.be project (CORDEX.be). The authors also acknowledge the use of data from ECMWF, NCDC and NASA. The authors thankfully acknowledge the WUDAPT for using their LCZ classification methodology. Dousset B, Gourmelon F, Laaidi K, Zeghnoun A, Giraudet E, Bretin P, et al. Satellite monitoring of summer heat waves in the Paris metropolitan area. Int J Climatol. 2011;31(2):313–23. https://doi.org/10.1002/joc.2222. Knowlton K, Kulkarni PS, Azhar SG, Mavalankar D, Jaiswal A, Connolly M, et al. Development and implementation of South Asia’s first heat-health action plan in Ahmedabad (Gujarat, India). Int J Environ Res Public Health. 2014;11(4):3473–92. https://doi.org/10.3390/ijerph110403473.